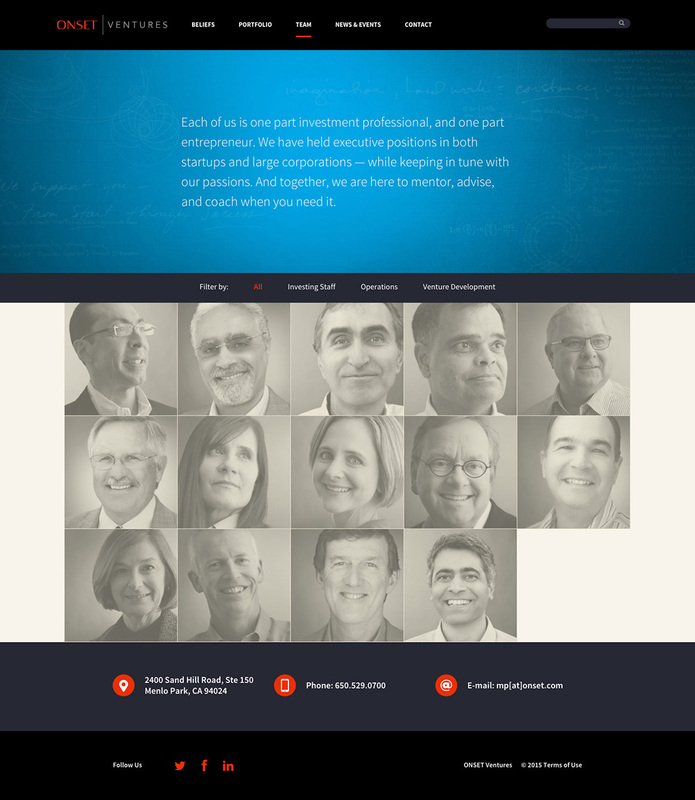 Freelancing for Liquid Agency, I was the front-end developer for a new web site for their client Onset Ventures. Initially, we were prototyping different features for the site. Some of these features were carried over into the final WordPress build. 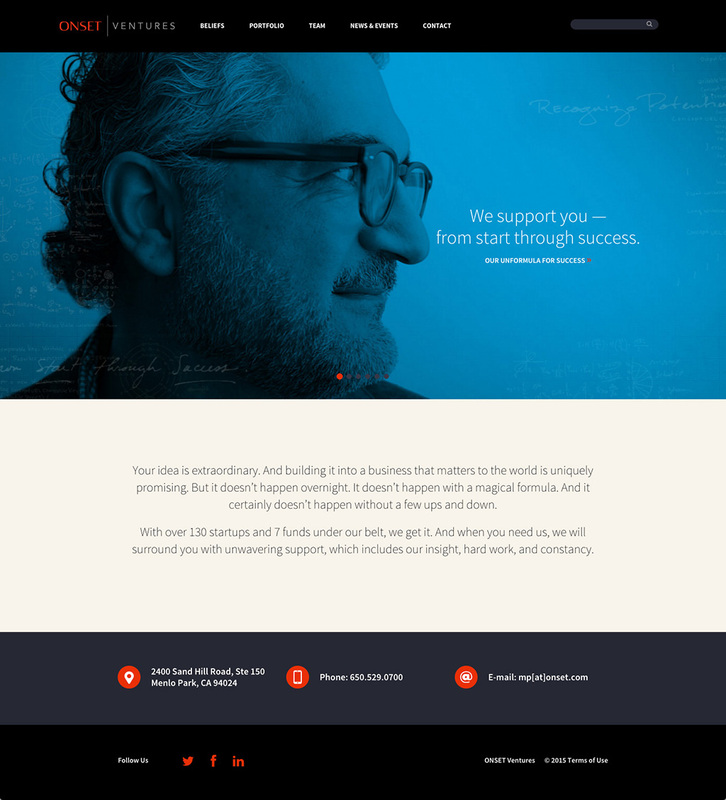 The site utilizes Sass Bootstrap, within a WordPress theme. The site is fully responsive and features a number of interesting sorting options based on present categories.